Prof Drachev’s primary interests span the domains of optics, nonlinear optics, plasmonics, metamaterials and nanophotonics. His main contributions are in the application of nanoplasmonics for biosensing, nonlinear spectroscopy, surface-enhanced Raman spectroscopy and near-field scanning optical microscopy of metal nanoparticle fractal aggregates. 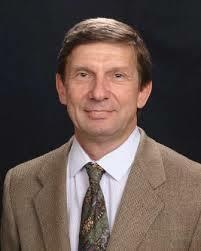 Prof Drachev received a PhD in Experimental Physics from the Institute for Semiconductor Physics and Institute of Automation and Electrometry, Siberian Branch of the Russian Academy of Sciences in 1995. His current main appointment is at the University of North Texas, and previously he worked at the New Mexico State University and Purdue University (US). He has published more than 90 papers in refereed journals and 8 invited book chapters with h-index of 32 and overall citations of 4226 (Scopus database). He has 5 patents, including near field Raman imaging, plasmonic and/or microcavity enhanced optical protein sensing, and dispersion interferometer, using orthogonally polarized waves. Prof Drachev holds senior membership of the Optical Society of America, and an associate editorship of the Optical Materials Express.